I am the artist. Shannon is the dreamer. Or maybe the schemer. We’ve been reading a lot about the Zeppelin raids in the papers. I made a sketch in the summer of 1915 when the storm clouds reminded me of Zeppelins. The big clouds always remind me of Zeppelins now. Shannon hit on another money-making scheme today. He’d turn Mowat Lodge into the centre for airship tourism. I couldn’t believe what he was saying, but then again he says a lot of things that I don’t believe in, so there was no reason that anything would be different this time. I listened. Shannon said he was thinking about it a lot. Air travel was the way of the future. The trains were about bankrupt and the government was about ready to take over the Grand Trunk. Some of the trestles were about to fall apart, and it would only take one trestle failure to paralyze the Park. Business was good with the consumptives, but it was the tourists from the United States that had all the money. And that money needed to get into the Park, or more specifically, into Shannon’s hands. With the War, aviation was advancing at a breakneck pace. Barely a week went by without the papers having an article on some new-fangled flying machine or stories of new exploits of airmen. Night bombing raids were the latest advancement. 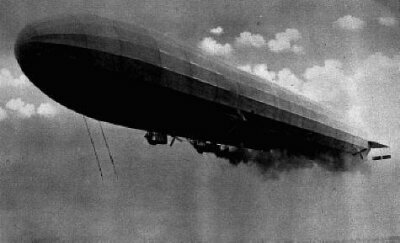 Submarines were the thing of wonder at the beginning of the War, but now it was aeroplanes and airships, especially the Zeppelins. The Zeppelins were a sight to behold and they especially terrifying. I remember in the summer of 1915 reading about the German fleet of Zeppelins bombing cities. “Baby-killers” is what the Brits called them. When I saw the pictures in the papers I could only imagine them overhead, over 500 ft in length. I couldn’t the size so I paced the length out on the ground. After that, I couldn’t comprehend how a thing of that size could ever get in the air. Now there were reports were reports that these behemoths could fly over 50 miles per hour. Size, speed and terror. Shannon started hatching his plan. He could convert the old spur line into a Zeppelin docking area. A wooden docking tower could easily be built (after all there as more than enough wood around). The area was reasonably flat that an aerodrome could be built and with it being close to shore, it could also service floatplanes. Another reason for the aerodrome was the possibility of an airmail service. Carrying post by plane, Shannon claimed, was the next big thing. Carrying post by floatplane meant that whole Park could be serviced. It was a recipe for wealth. Annie weighed in on the discussion. She forbade Shannon to run a newspaper ad with any notion of airmail or Zeppelin travel. She was not pleased when Shannon ran an ad claiming that they had an open fireplace at Mowat Lodge (they didn’t). They had to scramble to get one built before the guests came. That certainly wasn’t going to happen with Zeppelins. I enjoyed listening to the conversation. Shannon always had these flamboyant schemes and he liked to entertain the guests with his plans. The consumptives were a captive audience, but the other guests simply disappeared when these types of topics came up. Charlie Scrim and I would stick around, and only after Shannon would leave we would bust our guts laughing. As for my painting today, I went out in the bush behind. I painted a small 5 x 7 panel but I didn’t really like it. I scraped it out of frustration and turned it over and did some sketching with a pencil. I was thinking too much about Zeppelins.